No it isn’t. Set up is set up, does he or does he not predominantly shift to the RW whilst defending? Does he or does he not along with Mata start from the RW and allowed the freedom to drift where he wants? You can’t just separate defending and attacking because one disproves the notion that he is a RW that has complete freedom to go where he wants offensively. It’s like saying Rashford isn’t a striker currently because he’ll pop up on the right or left. I have nothing more to say when you think set up for attacking and defending is same. I think Solskjaer also didn't know this, poor guy was talking so much nonsense in press. There is no fixed position for attackers, two most important people who knows this (coach who gives instructions and player who implements it) confirmed it but what do they know, it's all line up sheets that matter. Won't comment on your explanation regarding the manner in which you replied . 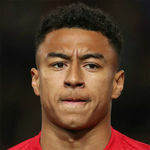 Let me put it like this, Lingard occupies the RW spot in our team, although it isn't a nailed on position like for example CB, LB, DMF, he still spends a large portion of his playing time as a RW, therefore he's by vocation a RW in our setup and on our teamsheet and the position that gets him into starting 11. Now if we go and get a proper RW, that RW won't replace Ander Herrera or Martial in team because "Lingard isn't exclusively playing RW". It is a fair opinion to argue that Lingard would lose his place if we had a proper right winger. It is not fair to argue that he played right winger against Leicester and blame him for what was not his task. That isn’t what I’ve said is it now? And no where have I said Lingard doesn’t float about and exchange position but it’s obvious he has a starting base which is that of operating off the RW hence why in defensive phases he resets to there and is the one tracking down the right wing. Positionally they aren’t separate in game, the point is he is deployed from the RW spot in most games, what he does from there on out is up to him. It’s exactly the same when Mata plays. It's not up to him, it's how we are set up. That's what Solskjaer wants. At least going by his words, he is not playing as RW. Touch map, average position, interviews everything confirms this. Your assumption is that his starting base is RW but according to Solskjaer he is more link player and plays centrally. You understand that even though he isn't obligated to never move from right flank, he still spends a great deal of time operating as a RW in the RW position both offensively and defensively? It’s not an assumption I can see it with my own eyes, touch map shows that he operates where ever he wants, if anything the touch map showed he had more touches n the left hand side and very few centrally. He is all over the pitch by design. Manager, player confirmed it. Anyways lets agree to disagree. We are just going in circles now. Against Leicester he had a similar amount of touches on the left side as on the right. Did he then operate as a LW too? Against Leicester we played with a «diamond midfield». Lingard played through the middle, behind Sanchez and Rashford. Just as he described. But yes, he did move a lot and spend time both right and left. All you’re doing is now agreeing with what I’ve said since he first post but leaving out the detail he has a starting position that is from the right hence why he resets to there. Not really. Starting position in defense is not same as starting position in attack, this is the point I'm saying from my first point, backing up my point with quotes from Solskjaer and Lingard. You're arguing with yourself or ignoring what I'm saying so that your point has some legs. You understand I'm not saying he's de facto a RW but rather by default he occupies that position, both on the pitch (albeit he's got a lot of freedom and he roams around) and on paper. And the only reason he's starting there is because we have no actual RW. You came in quite arrogant and now you're backpedaling and constantly ignoring the fact I never said he playing exclusively as a RW. But we don’t need an “actual RW." You might think that we need to upgrade him, and that's fine, but if we were to bring another player in he would need to perform the role Lingard is performing, and that's frequently playing from the left and centrally. We're creating opportunities because we are creating space, and moving the ball into that space swiftly. Having someone operate from the right in a more traditional role will see us returning to something like the rigidness we had under Jose. Ideally, what we need to work on, or perhaps bring in, is someone who will attack that space from right back. For now, I'm enjoying the overload we are seeing on the left and centrally, and the fruits of it. What quotes?you said they said he is a link man, but that doesn’t go against the point myself and fracture have been making. So are we also to just disregard defending by the way and ignore the obvious that he resets to the RW as you’re saying that is something completely different even though there isn’t a middle phase I’m aware of so if we are going from defending to attacking and he was on the RW defending does he teleport to the centre or something? The answer, no he does not hence his starting position is RW and he is allowed to venture around play in pockets of space and link up play. It’s not a difficult concept to understand. And later you're accusing me and having my mind set despite all my attempt of explaining to you that I understand he has the freedom of movement but he by vocation a RW, hence why when we're talking about needing a proper RW, we're mostly talking about that in Lingard dedicated thread because he spends a lot of his time operating on that position on the pitch and that's also his way into the team on paper. I am not the focal point. I am obviously not a target man. We have the two strikers higher than I operate. I am between them and the midfield. It does cause defenders problems. I am between so they can’t pick me up. They start focusing on the two strikers rather than me. If those strikers make runs, I can come deep and get the ball. The runner always creates space for the man inside. Can you see Anthony playing centrally? Definitely, because Anthony’s preferred position would probably be a number nine, most of them want to play through the middle, but where you put out from the start it’s more the defensive position, we want them to rotate, interchange, you’ve got to get into the box to score. This was the case against Leicester. I think Sanchez should learn to play the same role as Lingard is doing now. Then he and Lingard can alternate, and they can even play at the same time by varying left, right and central to create a lot of space and opportunities. You just keep ignoring what I'm saying and keep digging out Leicester game as an example that he's moving freely, despite me saying the exact same thing over and over that he a flexible role in the team despite starting off as a RW on the pitch and on the paper. I even explained to you in detail why is that I'm (and many other) commenting on needing a proper RW in this particular thread, but to no avail. I was discussing the Leicester game. That was what I commented on initially. And in this game he did not start as a RW on the pitch or on paper. And if he did, he would not describe it like «a 10 and a nine». You repeating something else does not change that. This 'link man' stuff is just basic footballing ability. Bernado Silva, Mahrez, Son and even Willian do everything Lingard does and more. Lingard is a squad player he should not be a starter. He offers workrate on the pitch and some decent runs in behind. He comes narrow and 'links play' with one touch passing but his vision and passing ability is not great. How often does he pick a brilliant forward pass? He hardly ever puts in a good cross. His finishing is inconsistent. He is older than Pogba and even players like Salah. Yet his output is very low. We are in desperate need of a RW and hopefully OGS stops this nice guy attitude in the summer and demands signings. And my original comment was on his general performances and the position he's occupying in team and on paper (read RW since we're usually playing 4-3-3 under Ole), a comment you obviously didn't read hence why you've only latched onto the reply in made later. But hey you do you. The 2nd one only strengthens my statement and doesn’t go against anything I’ve said and I honestly think you’re misunderstanding Ole. The first one, where is that from? Do you have the whole article? Or is it just a snippet from say the game against Spurs where he was deployed through the middle behind 2 strikers? Solskjaer's comment is from prematch conference vs Leicester. First one is form Lingard's interview, reported by Telegraph today. Jessie Lingard has started seven games for us under Solskjaer. He played right winger in three of these game (with freedom like you say), against Brighton, Bournemouth and Cardiff. Against Huddersfield he played LW. The three remaining games he played in the position he is talking about in the interview, through the middle, the games against Leicester, Arsenal and Spurs. In my opinion he is so much better when he gets to play through the middle. Can someone please turn this thread OFF, and then back ON again? Sanchez 1 start and 2 sub. 117 mins. 0 goals and 1 assist. 2 shots and 3 key passes. Expected goals 0.14. Expected assists 0.70. I would suggest that the system isn't creating enough chances for our wide forwards (and no 10 when Lingard plays there). I would suggest that playing someone as inconsistent as Lingard in one of our main attacking positions is the reason the forwards are not getting enough chances. From your figures above, even Mata (Who is generally regarded as finished and his last season) has made more key passes in under half the time than Lingard this season. Martial has made over double more key passes than Lingard in 1 less game. Says it all really... And people still think Lingard is not easily upgrade-able. Why did you leave out Rashford & Pogba btw? I just can't bother no more, you just cannot understand the point I'm making even though I tried to explain to you over and over again, but like I said before you do you. His injury hides the fact that he was awful in the first half. Gave the ball away multiple times. I know he has his fans who keep saying he makes fantastic runs but he keeps getting into unpassable positions many times. His defensive work has also fallen recently, anyone else observe this ? I hope his injury isn’t serious. His lack of quality on the ball in the first half when we were in the game was telling. He is often a weak link in home games. A piss poor performance, especially passing wise. He had some good moments but also some of his usual really bad passing. That moment he started a excellent counter but ruined it himself by passing behind Martial who was moving forward. Really would like to see another RW to form the forward line with Martial and Rashford. He tries a lot and usually has the right idea, just doesn't quite have enough ability on the ball. When you start valuing athletics and disruption above footballing ability you end up with Lingard. I think he was the best among our attackers in the first half. The game changed when he came off and the ineffectual Mata & Sanchez came on. He was ok, maybe the best out of a bad bunch of a very poor showing by our attackers. His decision making when it matters most in the final 3rd is what really drives me mad! He wasn't too tragic for a squad player starting against team packed with quality everywhere on the pitch. Game was over when he and martial came off. Feisty, broke well a couple of times but didn't have the pass in his locker, than got injured which is a big blow.